Easy-to-use Gantt chart software. 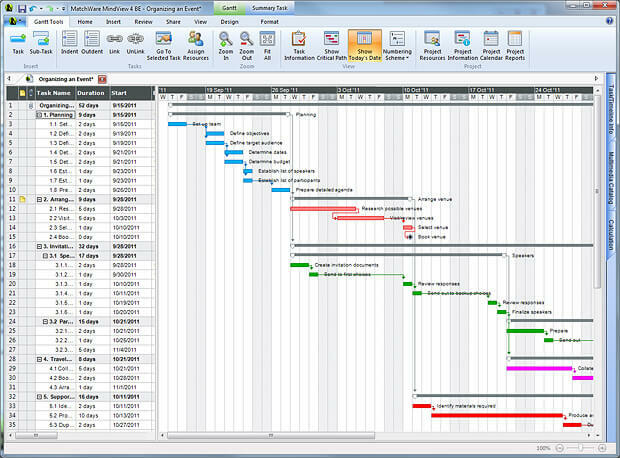 MindView allows you to create Gantt Charts, project timelines and is integrated with Microsoft® Project. Learn more about MindView Gantt chart software. 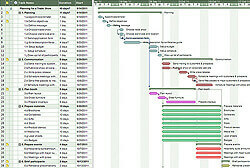 Gantt chart software simplifies the use of a Gantt chart and will make project management more efficient. Gantt chart software, such as MindView, allows one to view their project in the work breakdown structure view and then easily convert to the Gantt chart. Using MindView, a Gantt chart can be fine-tuned to manage task information from beginning to the end. All the project data is easy to read and visually appealing. The software is also compatible with Microsoft Project. 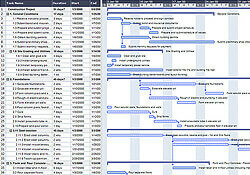 Gantt chart info, or data, can also be imported and exported with MS Project.